*Use supplied adapters for 100mm O.L.D. The wheelset should be trued for every 4,000km / 1year. Total weight over 105kg will shorten the time span between services. 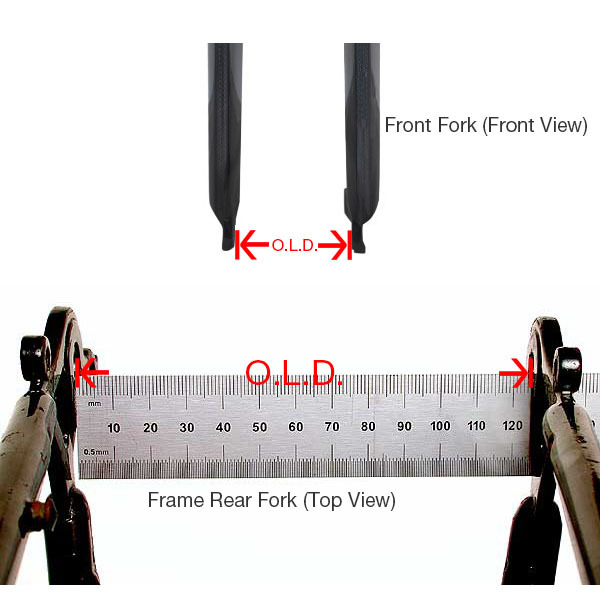 How to measure your frame and fork O.L.D. ?